Born in Cleveland, Mr. Babyak left Ohio at 16 to travel and has lived in numerous places throughout the U.S., as well as in Europe where he served in the U.S. military. At the end of his service, he returned to Ohio where he graduated from the University of Cincinnati, Conservatory of Music with a Bachelor’s degree in Ballet. Mr. Babyak began his 10-year career as a dancer with the Cincinnati Opera and performed with various regional ballet companies until 1992. Upon retiring from dance, Mr. Babyak made a career of what had, until then, been a part-time passion – painting. In 1993 Mr. Babyak moved to New York City and supported himself solely through the sale of his paintings. 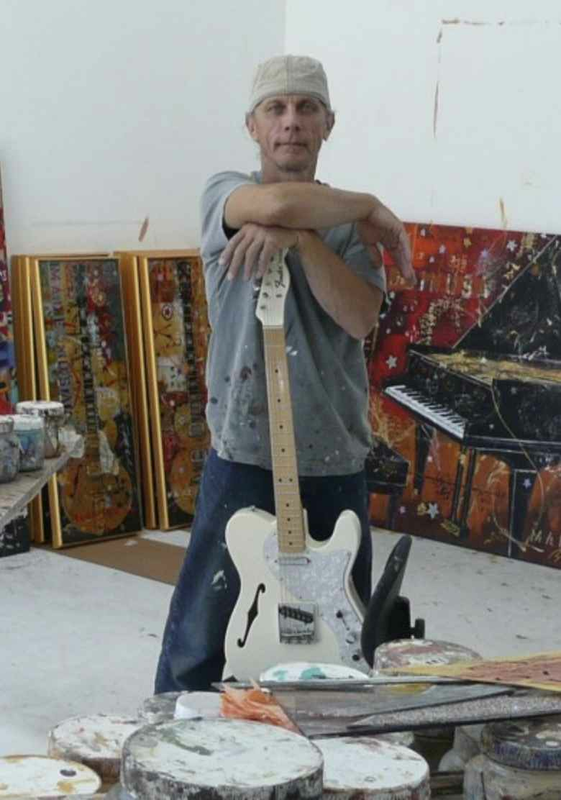 He has exhibited work in several national juried shows, including Emerging Visions in Los Angeles, National Works on Paper at St. John’s University in New York and the 3 Rivers Arts Festival in Pittsburgh. Mr. Babyak has done scenic design for ballet as well as had his work televised on the WB Network’s Jamie Foxx Show. He is the recipient of the Critic’s Pick Award from Manhattan Arts International Magazine, as well as numerous awards from juried art shows throughout the USA. Michael has been commissioned to create large-scale paintings for Lucky Strike Lanes as well as Hard Rock Hotel and Casino. Coca Cola recently purchased a Babyak original painting for The Coca-Cola Bottle Art Tour: Inspiring Pop Culture for 100 Years. Celebrity collectors include Ringo Starr, Bill Cosby, Chris Rock, Doug Ellin to name a few. Michael is currently represented by Pop International Galleries in New York City, Mouche Gallery in Beverly Hills, Jco’s Place in Los Gatos CA and Art Encounter in Las Vegas.